Put all sauce ingredients in jar and shake well – set aside. 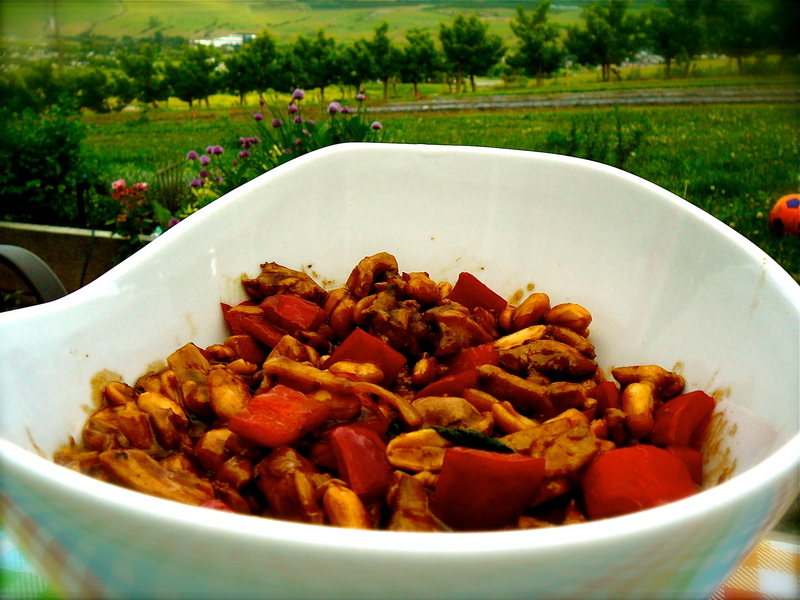 Heat wok – add oil – remove chicken from marinade, trying to leave behind most of the liquid, stir fry chicken pieces until about cooked half way. Remove from heat and set aside. Wipe out wok, add fresh oil – then garlic, ginger and red pepper – saute until just tender – remove from heat and add to reserved chicken. Wipe out wok (yes, again) and stir fry dried chiles along with peanuts just until they are aromatic. Add to chicken/veg mixture. Wipe out wok, add sauce and cook quickly until the sauce has thickened and become shiny (corn starch will always taste kind of murky in a dish unless you achieve that glossy look) Return the rest of the ingredients to the wok and toss quickly to coat. 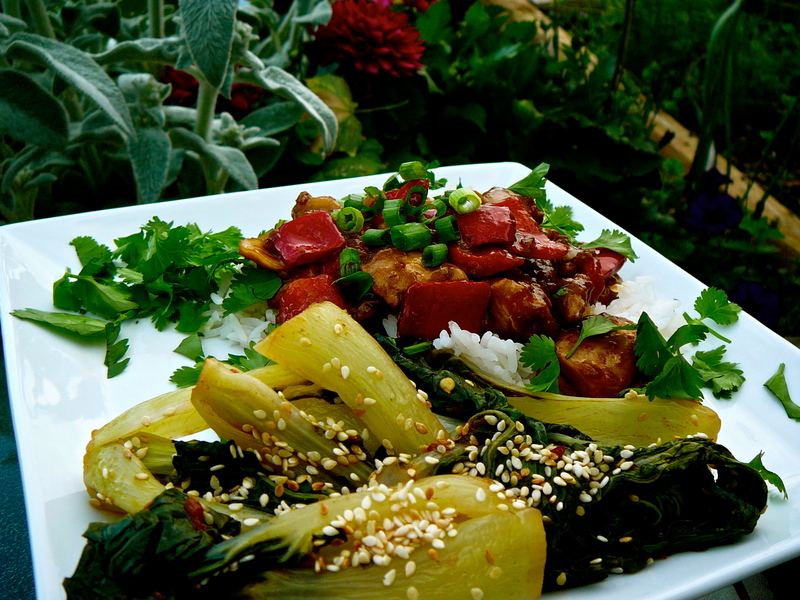 Garnish with scallion slices and serve over rice.